One of the reasons that Legends in Concert is "the world's greatest live tribute show" is the infusion of quality new tribute artists, and the stars they pay tribute to, into its lineup of "legends." Elizabeth Scarbourough and her Taylor Swift tribute is a wonderful example. In the summer of 2015, as she was concluding her engagement at Branson's Legends in Concert, she was kind enough to share her amazing story, and we held it until now so there would be a tie-in with her 2016 summer appearance at Branson's Legends in Concert. 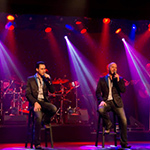 Enjoy some Branson classics with the Classic Branson package featuring The Presleys' for as little as $219! You read that right...your package includes a cozy two night stay, for 2 adults, in a great hotel; Gazebo Inn or Quality Inn on the Strip. 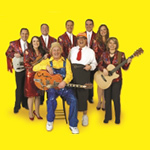 You also get two adult tickets to the fantastic Presleys' Country Jubilee, a $25 dining certificate with many great dining choices, and a Branson Guest Card Savings Book. If you add an extra night to your vacation, you'll also receive two adult tickets to your choice of one of these great shows: The Haygoods, Million Dollar Quartet, Hamners' Unbelievable Variety or Illusionist Rick Thomas. View package here. "From the limited time display of the $1.7 million dollar Wallace Hartley Violin at the Titanic Museum Attraction, to the opening of the show of Branson's premier violinist, Shoji Tabuchi, Silver Dollar City's World-Fest, or the Legends of Golf Tournament, the month of April is just bursting with exciting things for Branson visitors to experience," said Annette Wood, Director of Sales and Marketing for the Branson Tourism Center. "We are particularly excited about hosting America's Purple Heart Recipients as we honor them during Branson.com Honors Purple Heart Recipients Weekend," she added. "The renaming of the Andy William's Moon River Theatre to the Andy Williams Performing Arts Center and Theatre (AWPAC) is really calling it what it was really meant to be by Andy's design," said Jimmy Osmond in a recent interview. He points out that, although used primarily as a theatre, the building was designed as a multi-use performance space that can handle large and small scale productions of various types of performing arts from Broadway productions, to concerts, dance, drama, music, and more. Read entire article here. Do you want awesome vocals, a Grand Band, and hilarious comedy?